Keeping things clean is important in life, from your home to business. Keeping your fuel system clean is not only mandatory but necessary if you want to keep your vehicle running right and for a long time to come. With modern cars and trucks, any small particle that gets clogged up in your fuel system can cause major damage to the fuel pump and injectors. Older cars just need a good fuel filter in front of the carburetor to keep things clean, not so with newer vehicles. They require a good filter (usually in the fuel tank) to keep things flowing smoothly. Injectors, not so, they are computer built and require precise flow rates or your vehicle will run rough or even not at all. So get your vehicle to Elkhart Mechanics to keeps things going good in your fuel system. The good news is that modern fuel systems allow for greater fuel efficiency than ever before. The bad news is that these newer, more complex systems are more sensitive and can malfunction when even small amounts of debris get inside the fuel system. Cars made since the late 1980s have electronic fuel injection systems. Believe it or not, some mechanics do not know how to deal with electronic fuel injection systems and treat them as if they were the old kind, leading to even more fuel system problems. At Elkhart Mechanics, we are always careful in our work and will always get the job done right the first time. Sometimes the sign of a fuel system problem is that the engine will not start. If this is the case, we will perform an engine diagnostic test on your vehicle. The engine diagnostic test works on cars made since 1996, and it can identify problems with the fuel system as well as all the other computerized parts of the car. We will also use scan tools to test the car’s fuel pump circuit and crank shaft. If there is a problem with the fuel pump, it may also affect the fuel pump relay. We may also do a fuel pressure test in order to identify problems with the fuel pressure gauge or fuel injector. If you have had your fuel system repaired before, it is possible that the fuel pump was improperly installed and that there is debris inside the fuel system. 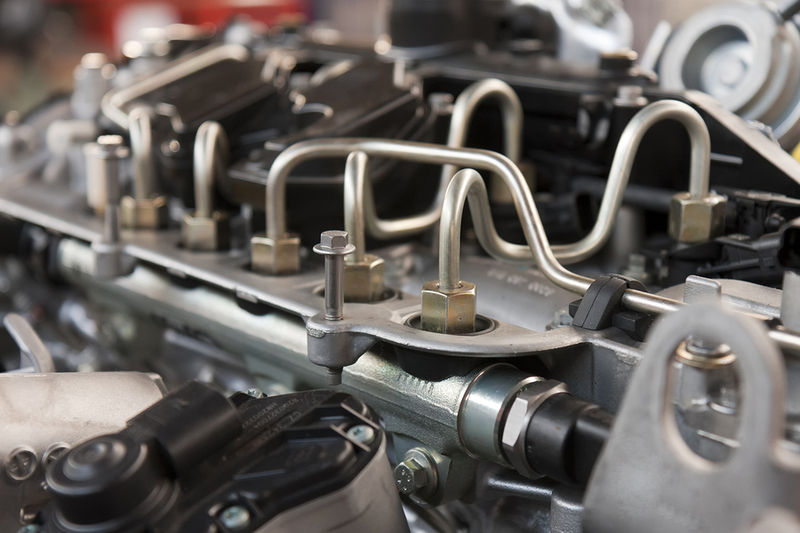 The fuel systems of gasoline and diesel engines are very different from each other, and we are equipped to repair both kinds. Elkhart Mechanics is dedicated to helping you avoid unnecessary repairs. We will correctly identify your fuel system problems the first time, and we will only repair what needs to be fixed and what you authorize us to repair.